I suspect many electronic music aficianados have the soundtrack for the film The Revenant on repeat who haven’t even seen the film. 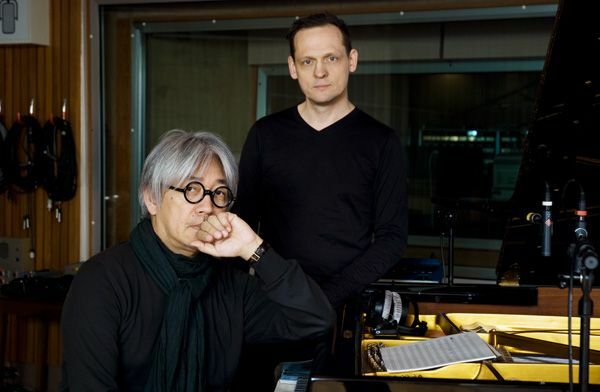 Any new Alva Noto/Ryuichi Sakamoto collaboration will get the attention of lovers of minimal electronic achievement, with good reason. 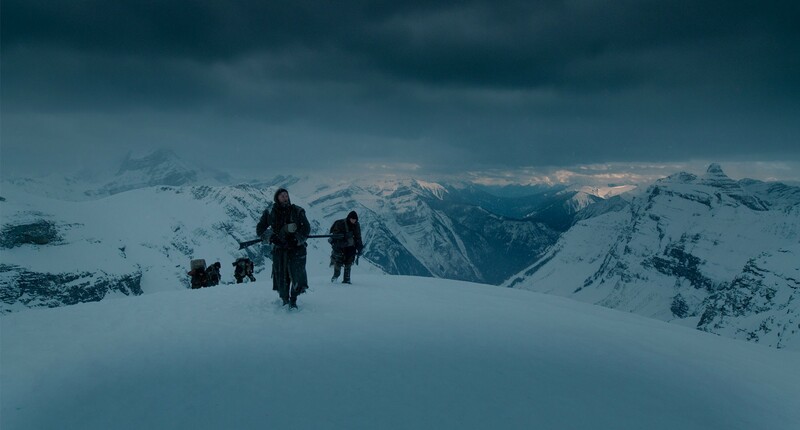 And The Revenant might just be the perfect landscape for that collaboration. Its marathon portrait of bleakness and intense, lonely revenge make the film a platform for a perfect Alva Noto/Sakamoto score. Carsten Nicolai’s long-running collaboration (as Alva Noto) with Ryuichi Sakamoto has been a benchmark in what electronic/acoustic synthesis can be. But even as a fan of their creative intersections, this soundtrack is special. It is an essay in texture, one in which eventually the boundary between acoustic and electronic disappear. This interplay can’t be called new any more. Electronic sounds shares a timespan with the history of cinema. From the Theremin to the ANS Synthesizer (see Tarkovsky) to Louis and Bebe Barron’s homemade electronics to Wendy Carlos to Vangelis, film has often been the medium through which the world has come to know electronic sound’s most adventurous sounds for the first time. The big screen led the home stereo. But, it’s a shame that after those leading-edge moments of cinema, we haven’t seen synths as the norm so much as the exception. Moreover, the fusion of synthesis and acoustic sound in film still seems a rare feat – even though it ought to be the perfect place to execute that synthesis, even for general audiences. That means pairing the right people, though, not pairing the right technology. And this seems as good an example as any. I’m surprised when Nicolai and Sakamoto are called “unlikely.” Perhaps in pre-unification Germany, peering into the future, the artistic couple would have been historically or geographically improbable. (It’s not that the DDR was universally disconnected from the globe – electronic composers in the right positions had unique access, though perhaps not the band of East German brothers who started Raster Noton.) And that happy fall of the Wall here is hugely welcome. But aesthetically, the combination seems rather inevitable. These are two minds who exemplify minimalism at its most essential and versatile, each comfortable across media. 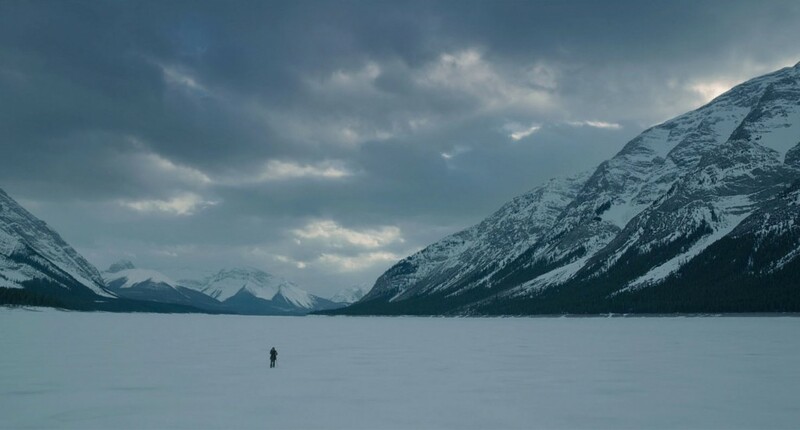 Sakamoto is at the apex of his economy in the music for The Revenant. The thematic gestures in the string writing are as suspended as a breath caught in frozen air, as aching as a sigh. (Listen to “Hell Ensemble” or “The Revenant Theme.”) The constantly downward-descending modal minor writing is endlessly unresolved, balancing on edge. It is unmistakably Japanese, but also recalls baroque laments, an unending spiral descent of incalculable despair. Oh, and – somehow this sparing handful of notes is oddly hummable. That melodious romanticism, if stripped down, gets clawed to the bone as the plot progresses. But even before getting to the electronic contributions, the recording production and orchestral writing are themselves purely timbral in a way familiar to synthesists. In more incidental moments, glassy string textures seem themselves to be almost electronic – pure surface, almost unmoving, executed expertly by Berlin’s Stargaze orchestra. Stargaze themselves are ideally tailored for the project, in contrast to the epic Hollywood contributions last year of the LSO to wars in the stars. Like the composers, stargaze are comfortable with music classical and new, electroacoustic avant garde and pop as well as the usual “sustain this string harmonic without us hearing any bowing for as long as the director damn well pleases” acrobatics. Multi-instrumentalist Bryce Dessner (known to hipsters more for The National) fits nicely into this ensemble as a co-composer and member of the band. In fact, it’s not hard to imagine Sakamoto/Alva Noto/Dessner in future. But aprospos to this site, let’s talk about electronics. What’s beautiful about Nicolai’s understated contributions to this record, as with past Raster Noton efforts, is that electronics can be naturalistic. So, when we talk about The Revenant being shot in natural light, with no CGI, an epic wilderness expedition in itself, we can also be encouraged that electronic textures don’t feel out of place. Here, electronics don’t represent alien flying saucers or futuristic cities or the insides of computers or pounding nightlife. They add colors and textures that blur easily with those in the orchestral score. They reveal the weight of moments of emotional desperation, of passion, and do so as economically as the string textures. Specifically for this movie, because I knew it’s was going to be a classical score, I tried to record electronic music in a way that sounds very organic, that sounds kind of acoustic rather than electronic. So, I really tried to change the electronic sound in such a way that it could easily work together with the classically-recorded score. The “Dream” sequences the two make together, with glacier-sized reverbs full of icy noise and urgent rhythmic pulses, are exquisite. As always, Nicolai lets the aesthetic of the medium be part of the timbral message. For this, because I needed to be very flexible, I was basically arriving with many software-based synths and I did everything with basically one laptop. I composed everything inside that laptop, or sometimes I recorded weird sounds from natural things or iPads; I used a lot of iPads as well. Sometimes, I wanted to use just a simple recording of a stone or something, so I needed something of that quality of sound, so I just recorded it and used it and processed it so you can’t really hear that original sound inside it. I would know that for a specific moment that I would need something like that quality of sound. But I think it’s worth climbing up on the mountaintops (ahem) and talking about the significance of this sort of work. We need to begin to appreciate electronics as an essential element in orchestral writing, in scoring. It’s lazy to call the synthesizer synthetic, to call the computer artificial. We need a reckoning for how they fit into our culture. And while the film is about loneliness, this kind of attention for the medium shouldn’t be quite so lonely. So I’m glad to have this work as added inspiration. It does so much with so little, it makes a lot of us want to do more. NPR, as it often does, has the smartest review, from the end of last year on their First Listen program. Listen to the soundtrack via Spotify – or vinyl, when it comes out later this month (but I can’t embed that, yet). Photo stills courtesy 20th Century Fox.